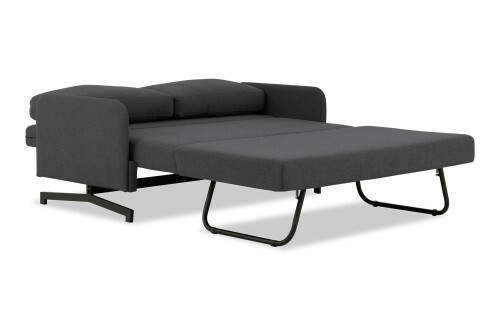 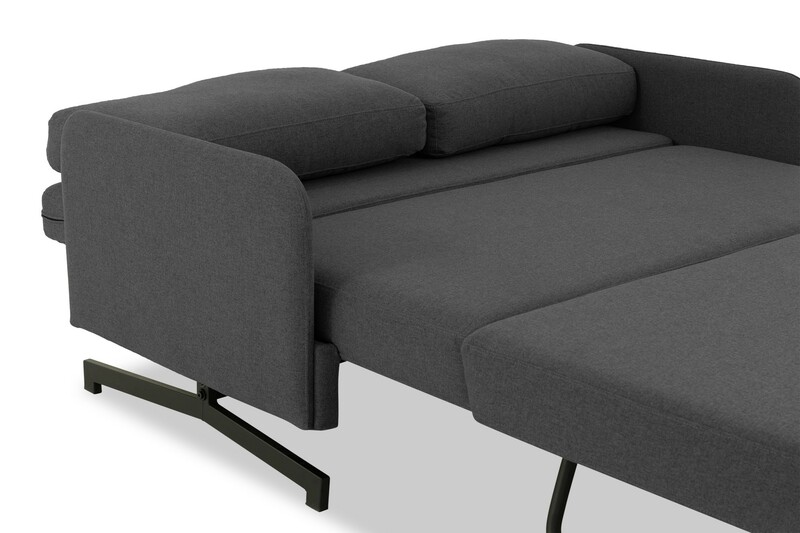 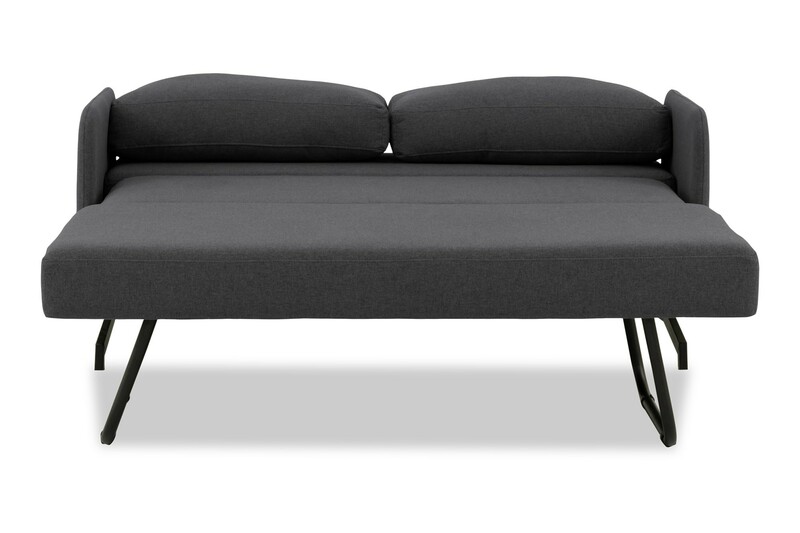 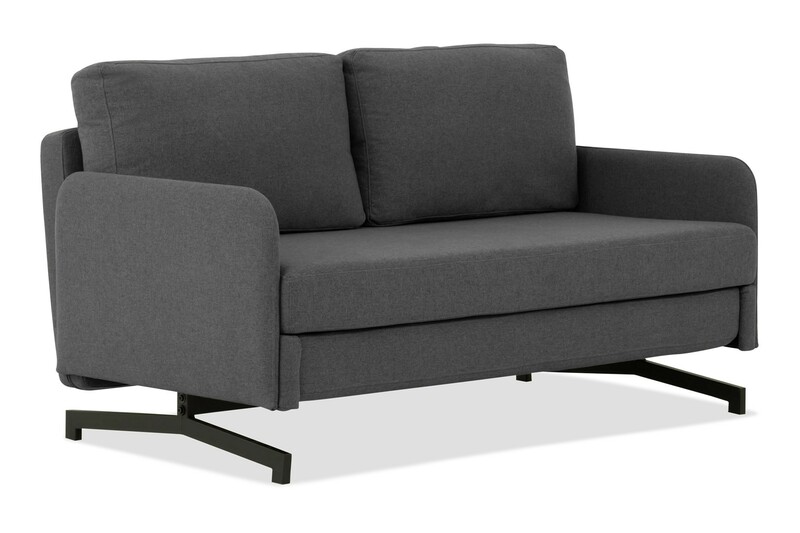 This dainty 2-seater sofa bed is a mini swiss army contraption of beds. 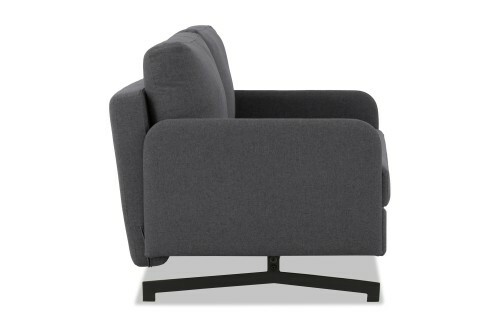 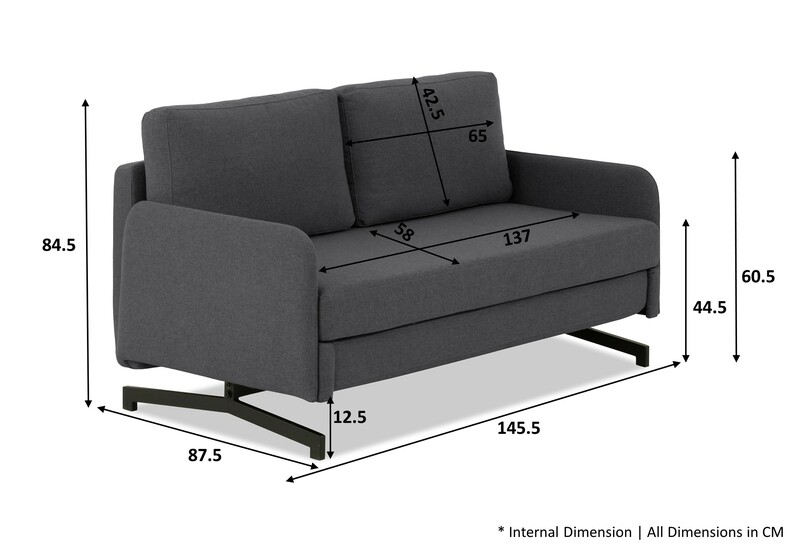 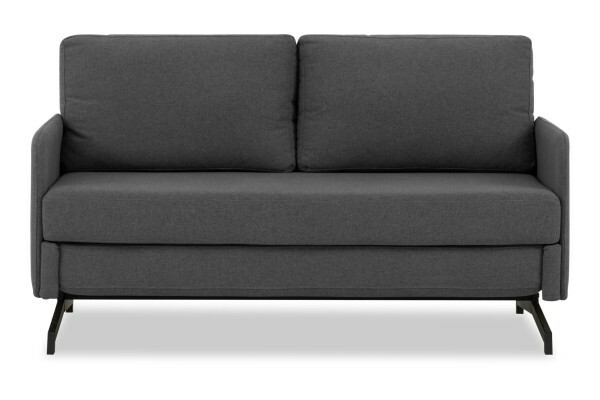 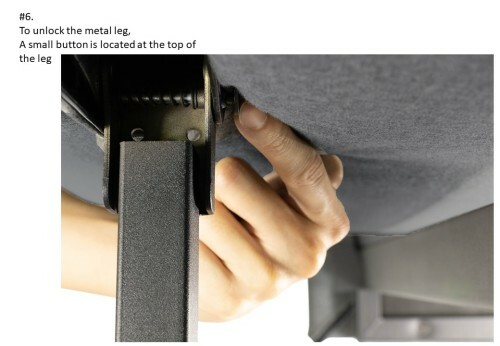 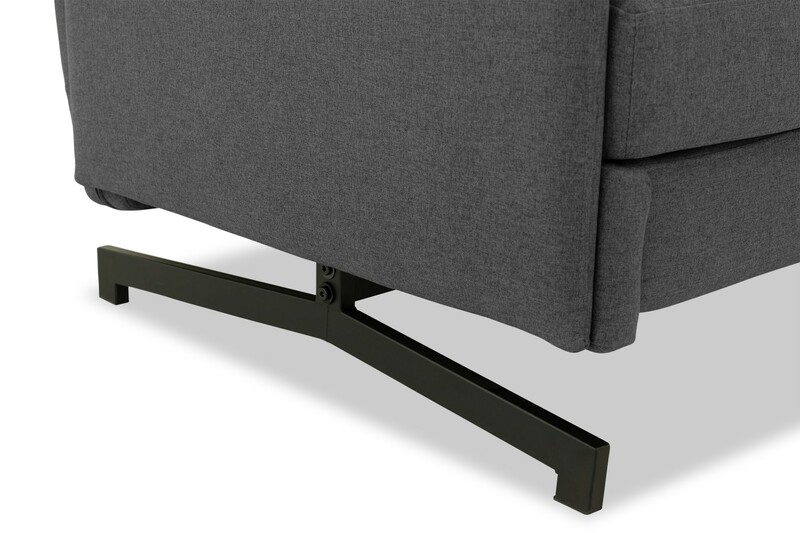 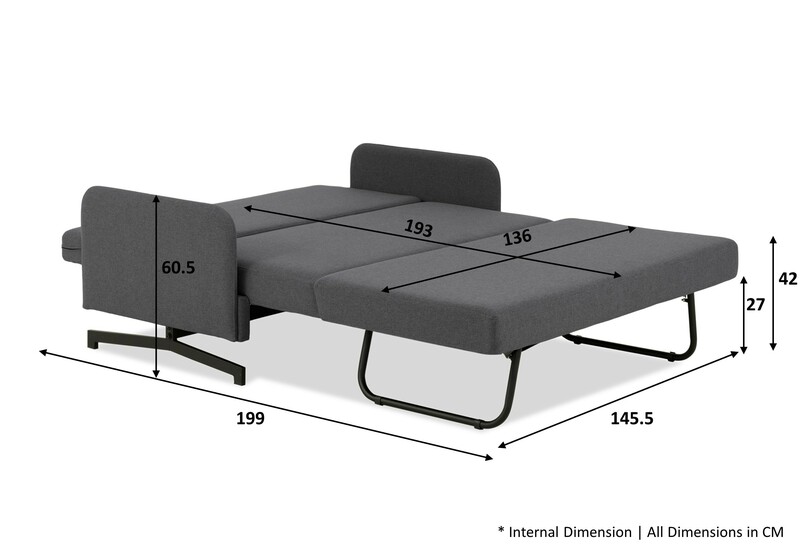 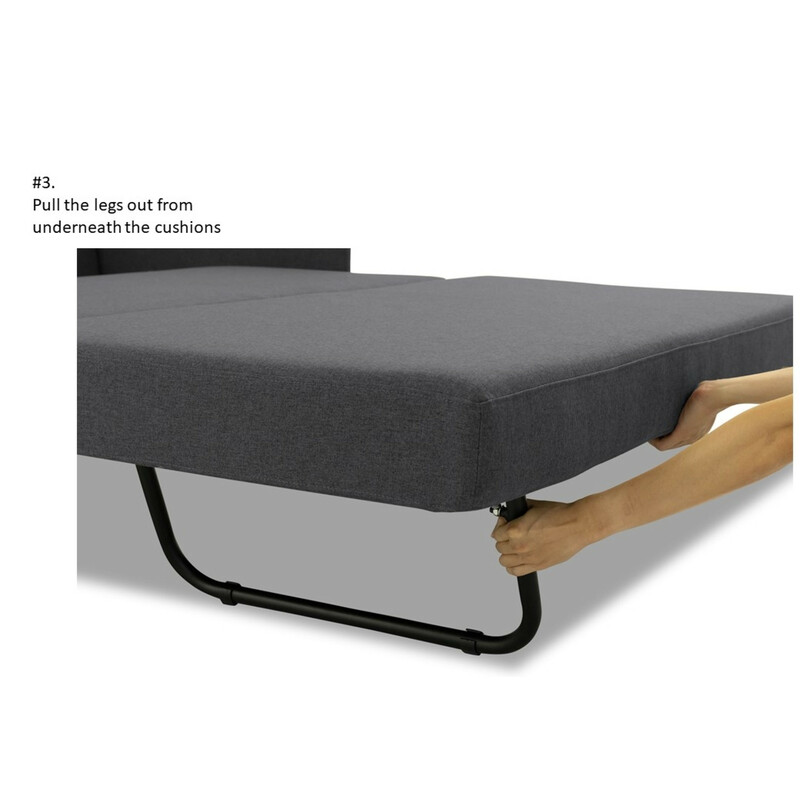 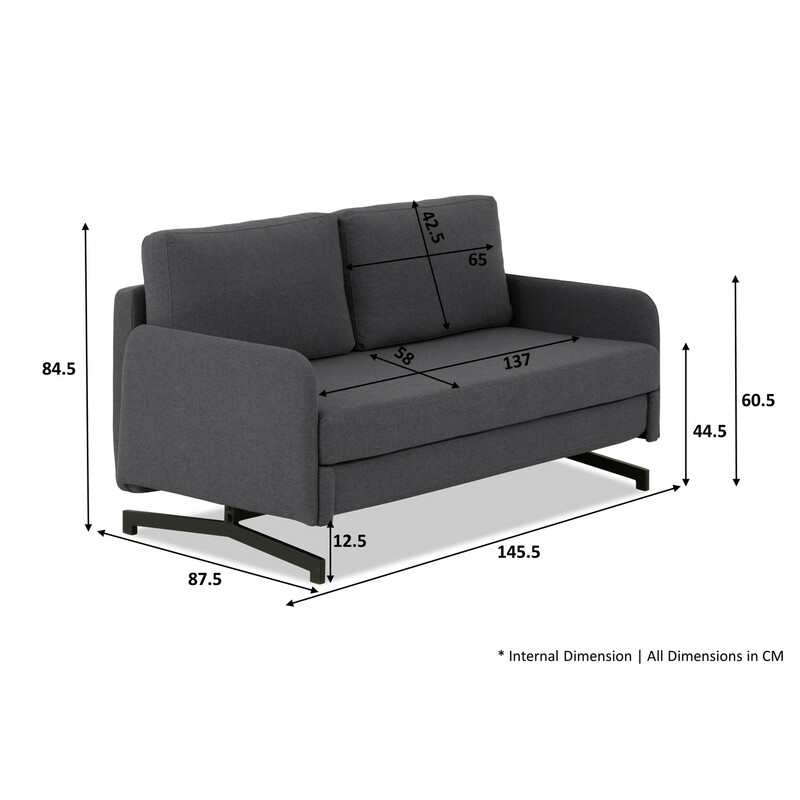 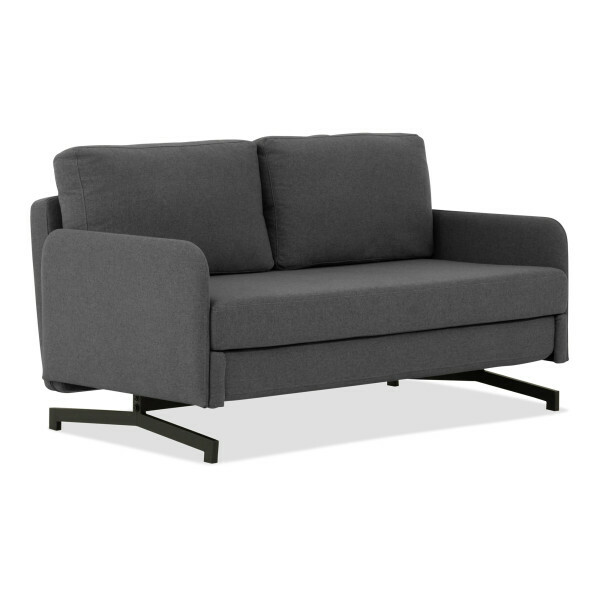 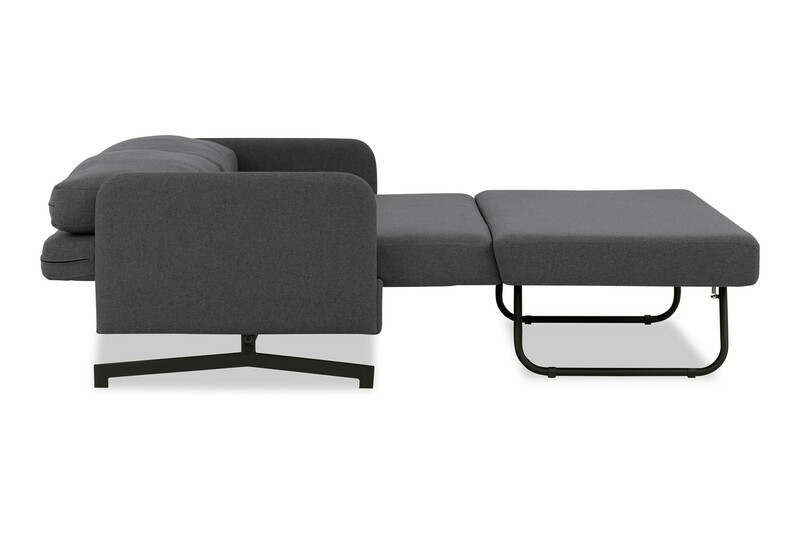 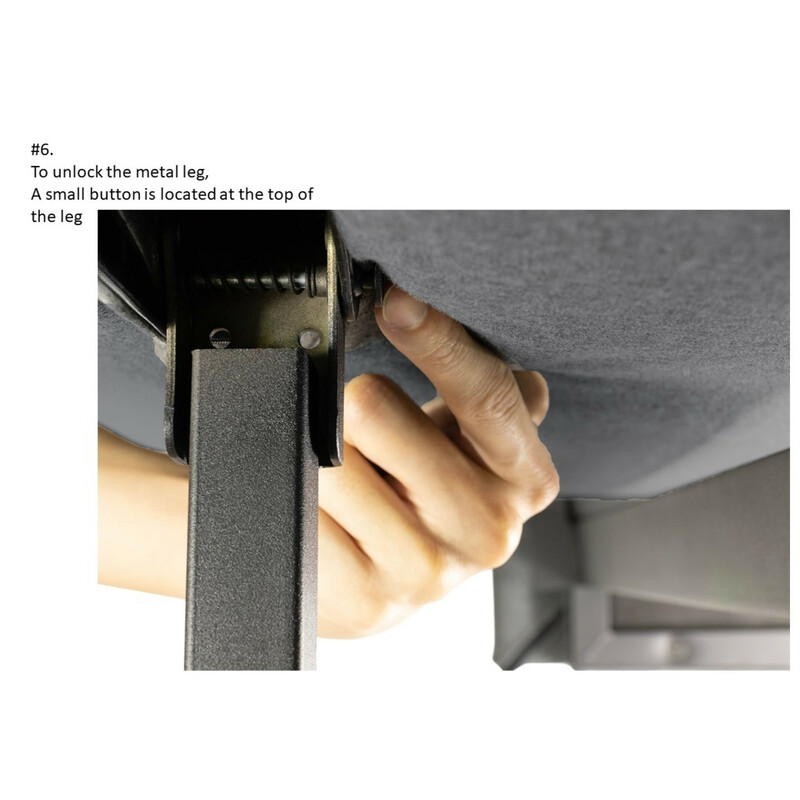 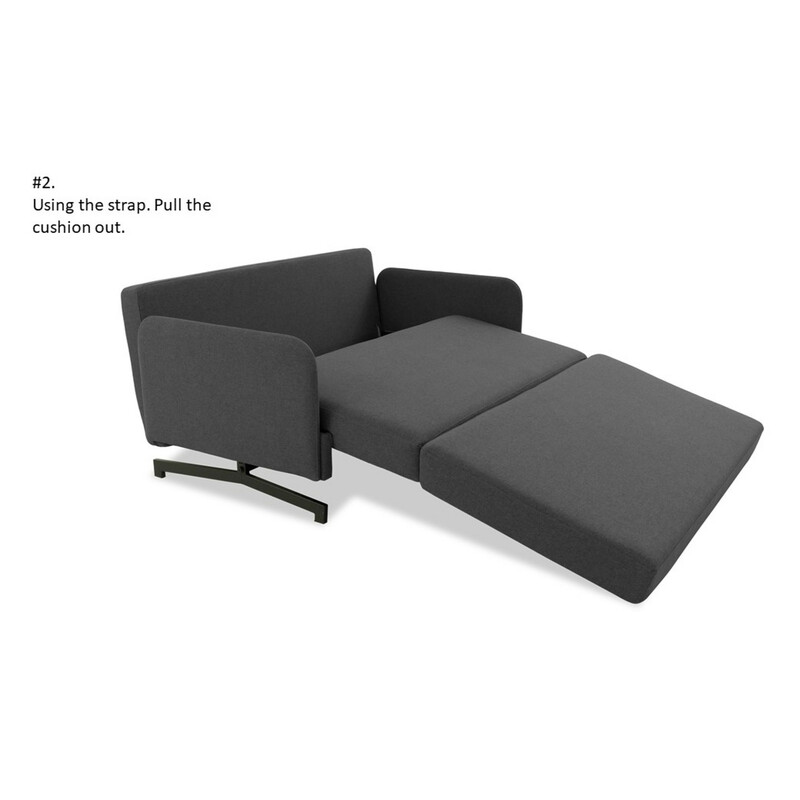 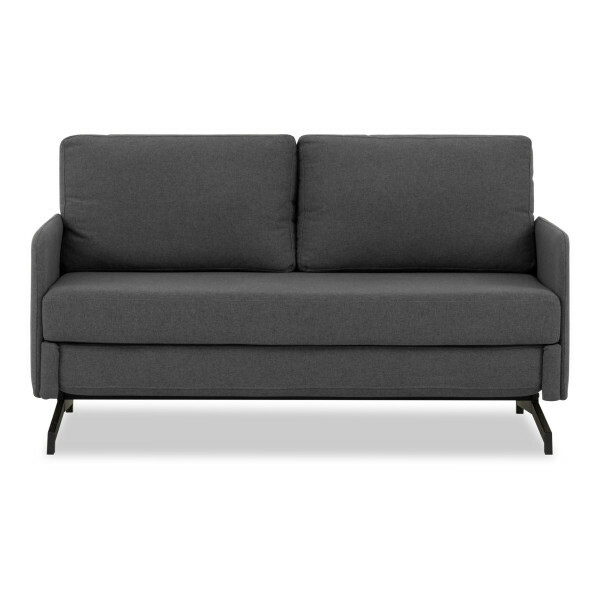 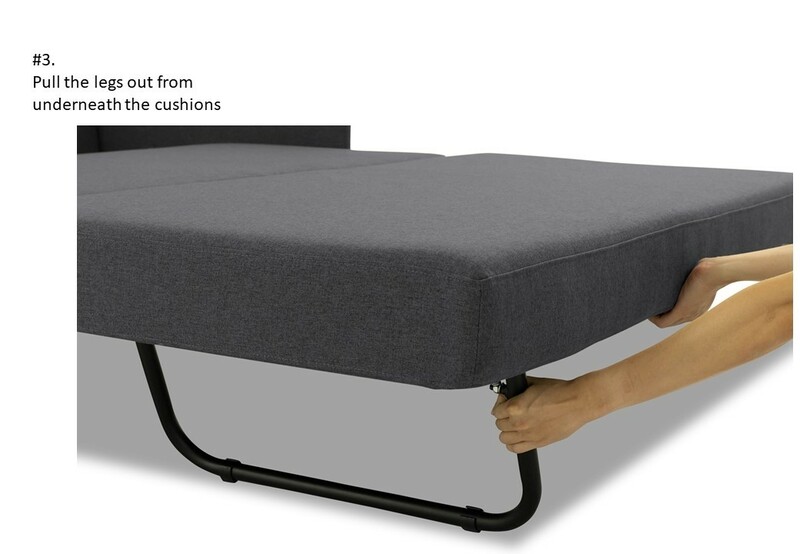 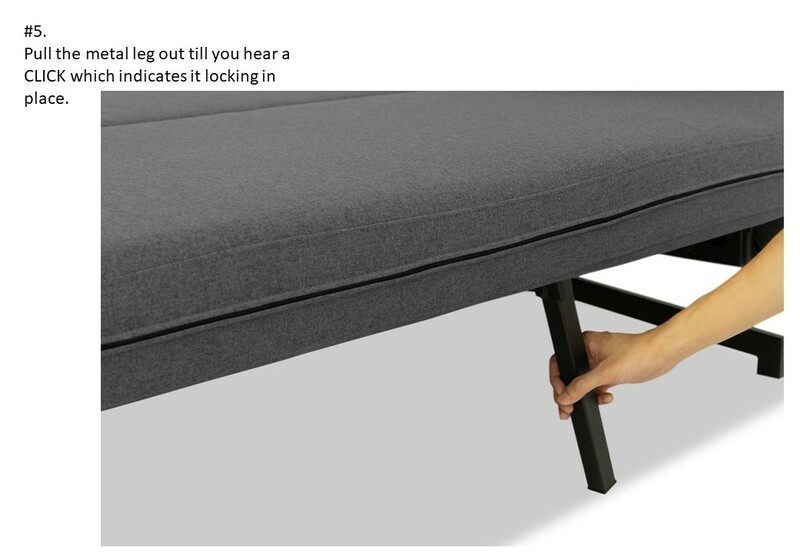 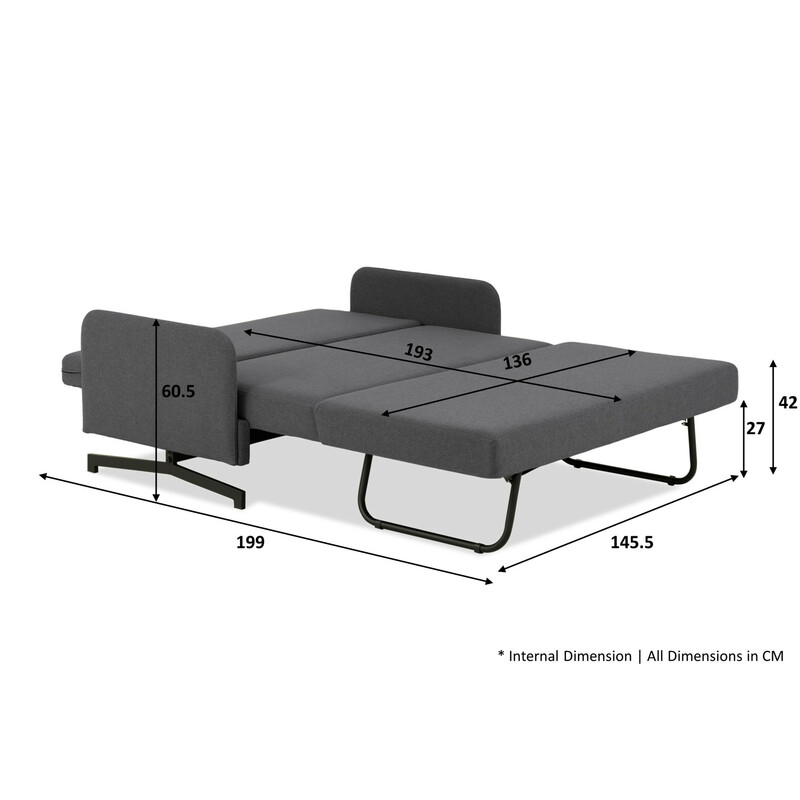 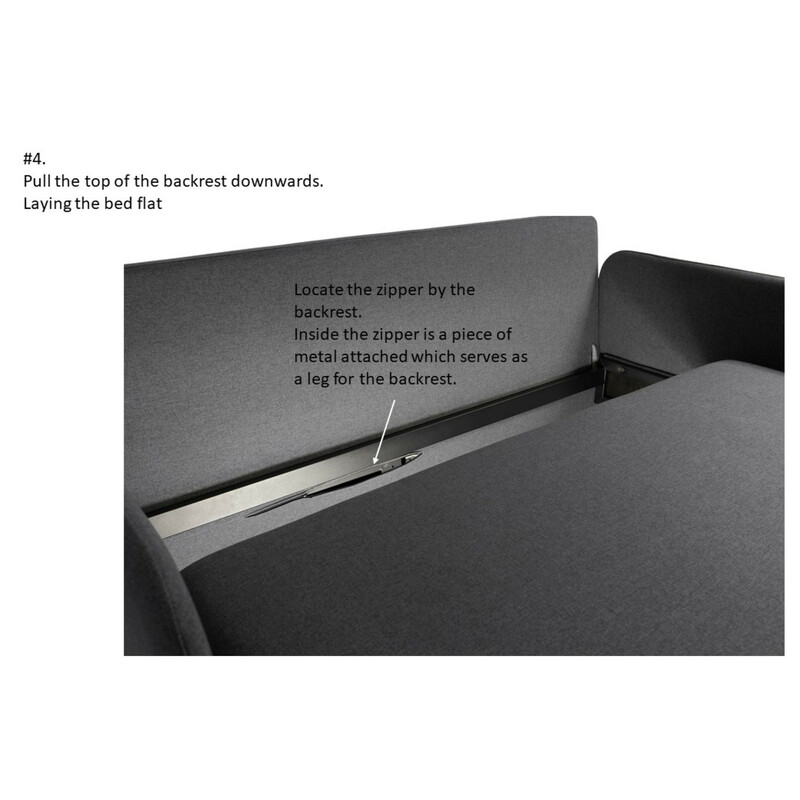 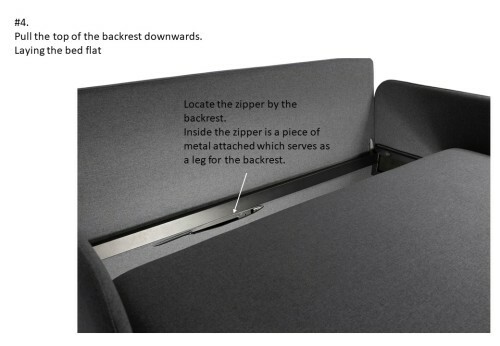 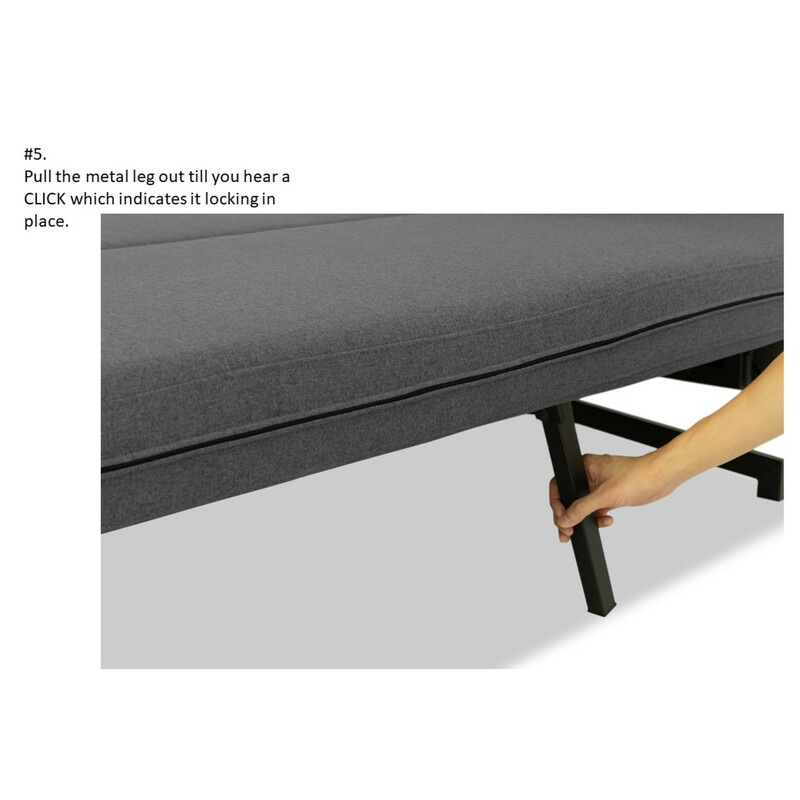 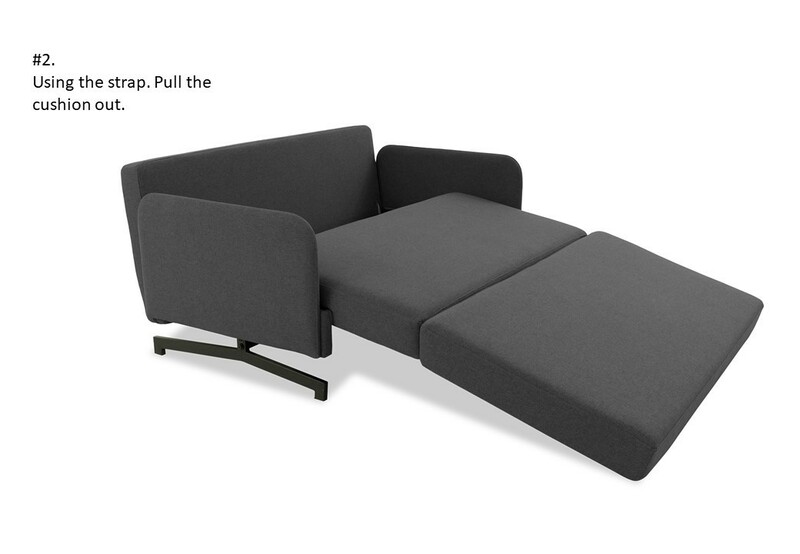 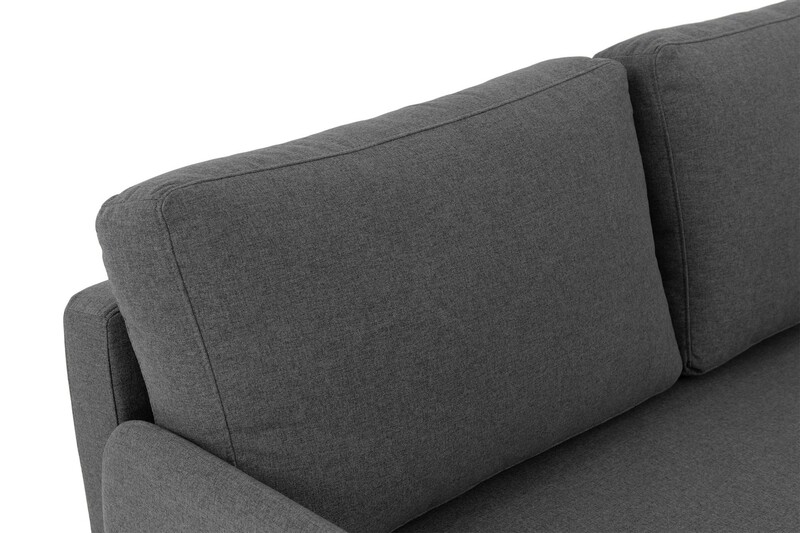 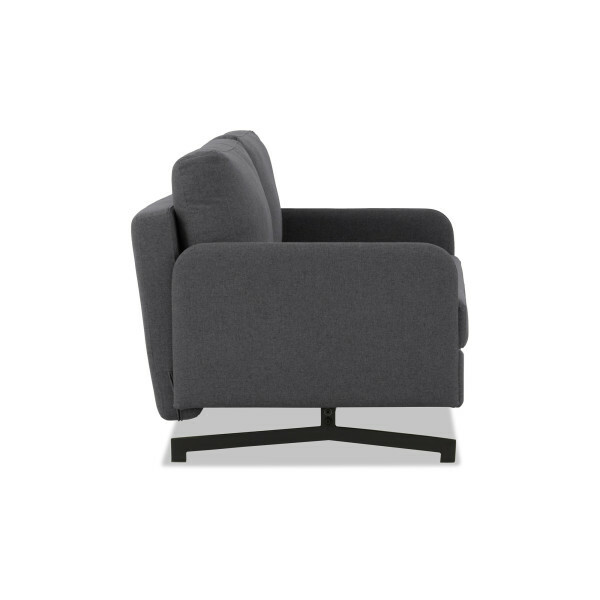 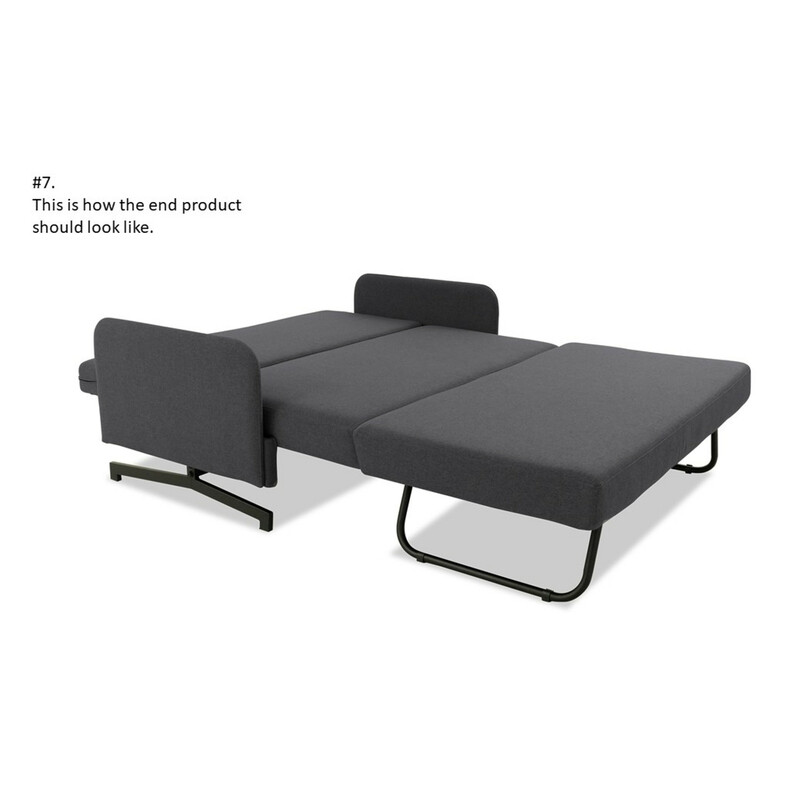 Not only can it be extended to become a sofa bed, it also has cleverly hidden legs and supports that can be unfolded. 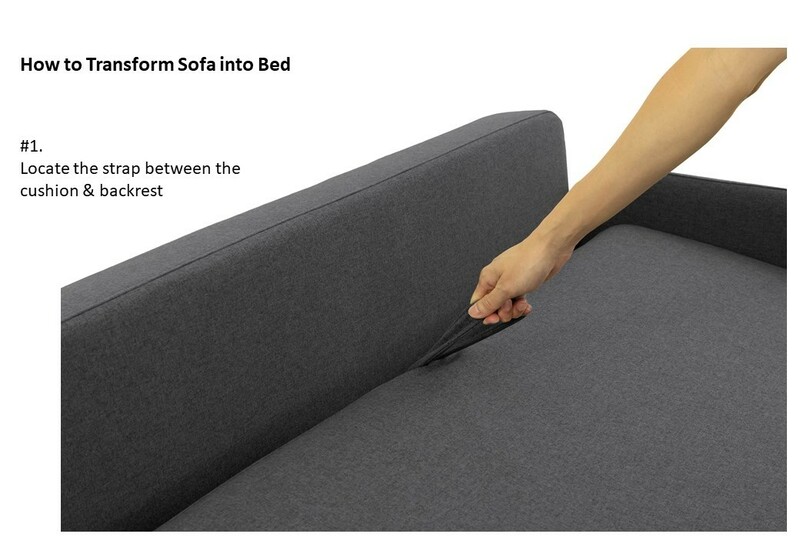 It is hard to imagine how much is concealed in this tiny package. 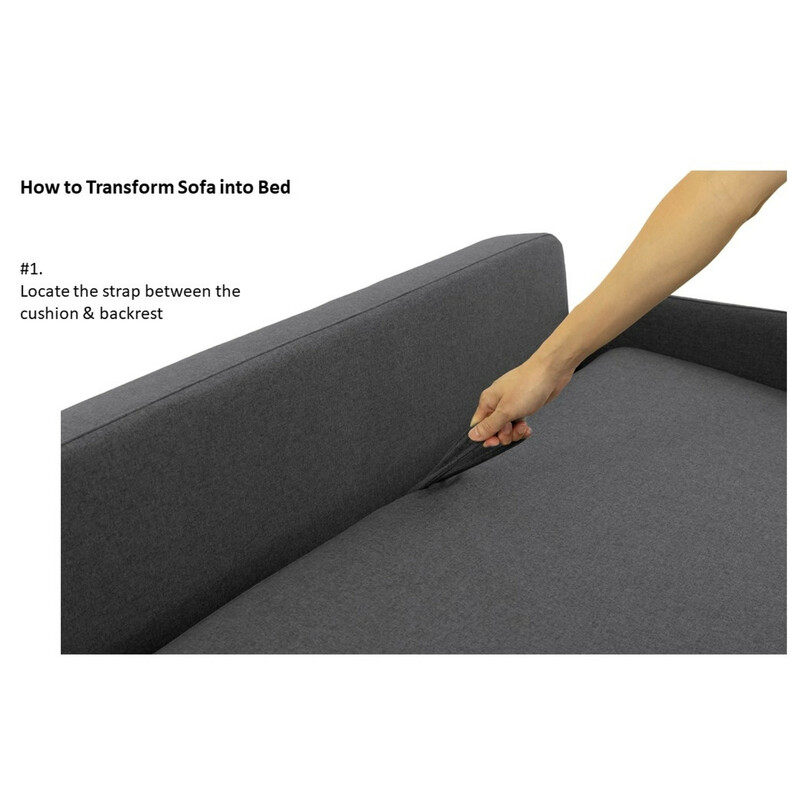 Perfect for small apartments and studios, this compact space-saver is comfortable and may fit up to two small sleeping adults. 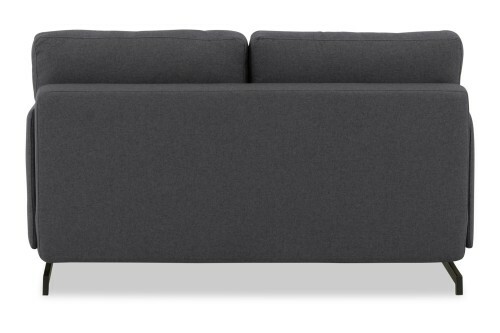 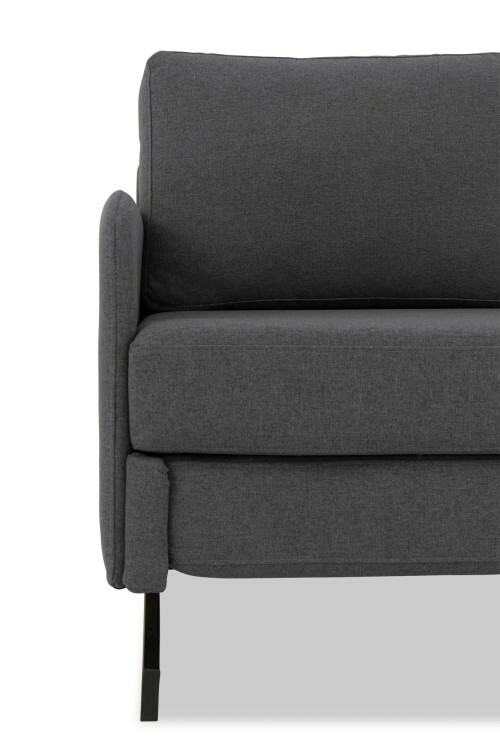 Available in dark grey, this little wonder will suit most décor styles. 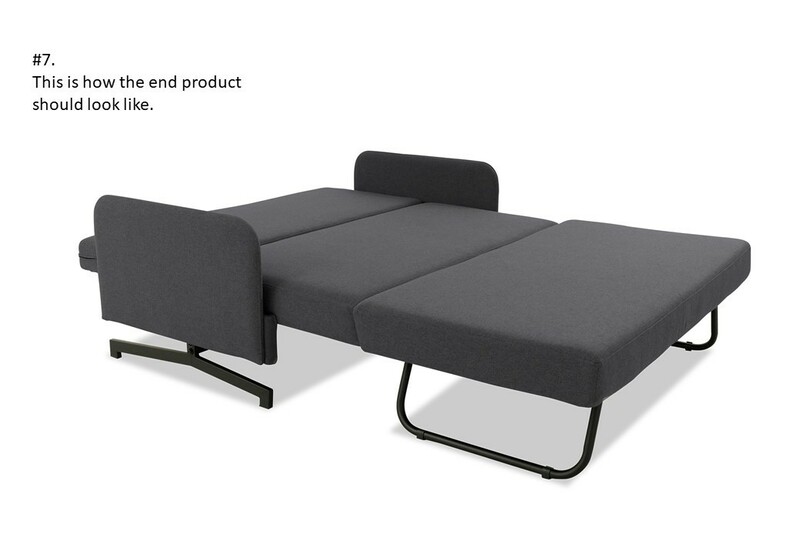 I am rather pleased with the design and quality of this product.